Home staging is a tried and true strategy for getting homes off the market faster and at a higher price. However, home staging can be a costly expense, especially if you have multiple homes on the market at once. However, there are some very simple (and cheap) ways to make a home look better without having to make major design changes or upgrades to the home. These ten home staging tips can help you move that home off the market, all for under $100. 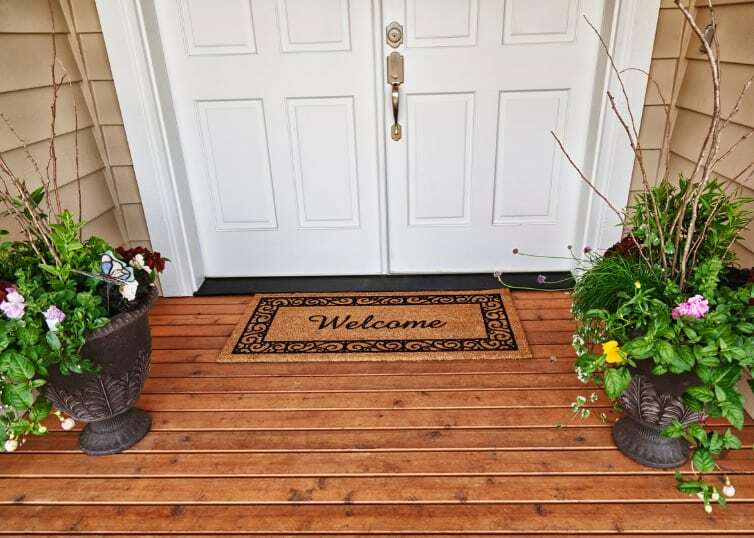 While this may seem cliche, a small step like laying out a welcome mat can make a big difference in a potential buyer’s experience of a home. From the time they step out of their car, potential buyers are judging every aspect of the home they can see. Make sure their first impression is a good one by literally welcoming them to their future home. Pro Tip: Get creative with your welcome mat! This will add some personality to the home and will help make the home more memorable. Adding some art to the walls, especially to larger rooms, makes homes feel warm and inviting. On the flip side, if you want to make a room feel bigger, adding art to the walls can make a room feel more spacious. It’s really quite amazing how art has the ability to transform a space to your liking. Pro Tip: Choose paintings or prints with neutral colors that will work in multiple spaces so that you can reuse the art in future home staging projects. When potential buyers walk through a home, they are envisioning how their lives would be once they moved in. What would a Thanksgiving dinner look like in this home? What would Sunday morning breakfasts be like? These are questions people ask themselves when trying to figure out if this house has the potential to be their next home. 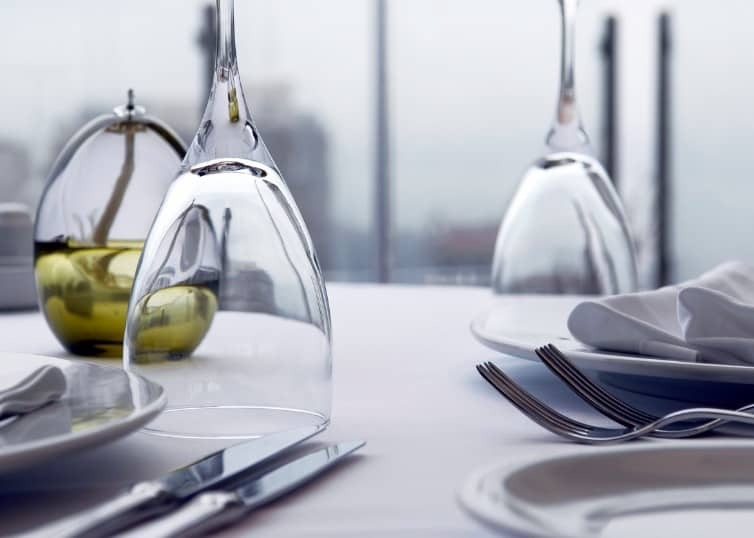 As a real estate agent, you can help that imagination come to life by setting the table for either a special holiday dinner or maybe something more simple or every day. Don’t forget to make the house smell like cookies! Free Guide: We surveyed over 1,000 real estate professionals to better understand how they go about their business and what it means to their bottom line. Download this free guide to help you earn more in your career! There have been dozens of studies conducted in recent years on the restorative properties of house plants. Not only do plants help remove stress and improve one’s mood, but they also help purify the air and create a sense of purpose in the room. The benefits go on and on. 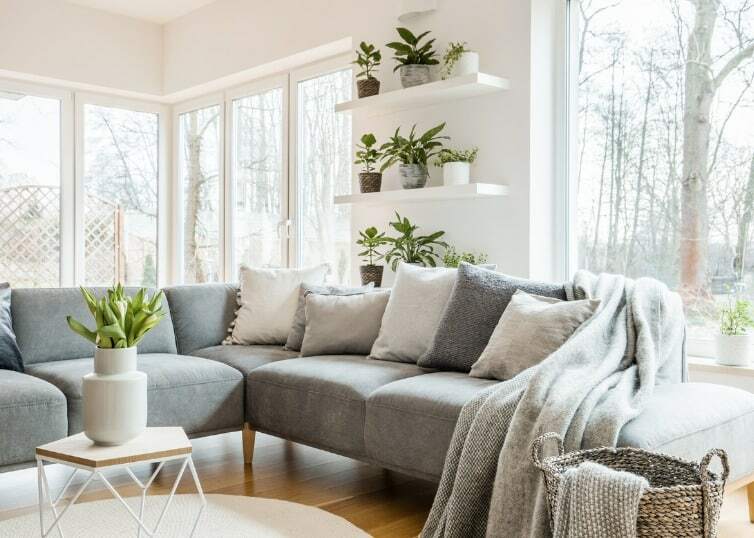 Why wouldn’t you add some plants to your home? Pro Tip: Choose plants that are easy to take care of so they can live as long as possible. Throw pillows and throw blankets are a staple in any interior design magazine. Why? They can tie a room together and make it seem like an actual living space, not just a display. 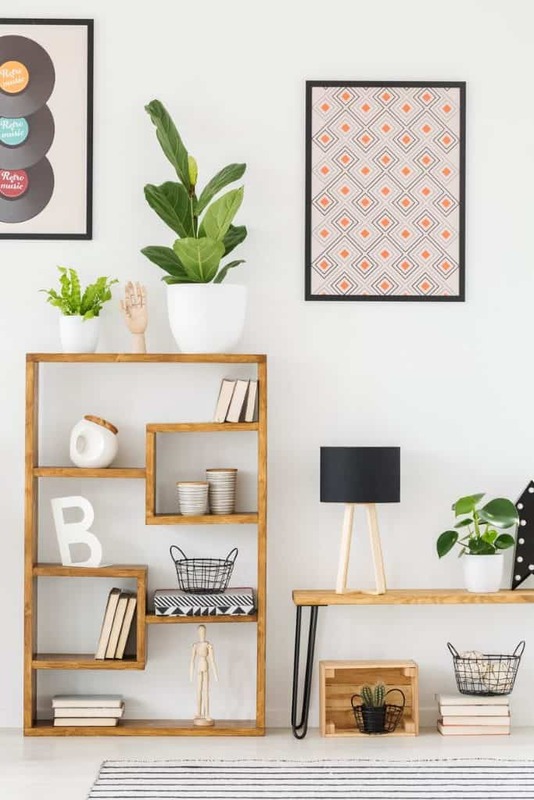 Plus, strategically placing a pillow or blanket over some old pieces of furniture helps update the space, or at least distract from any conspicuous eyesores. 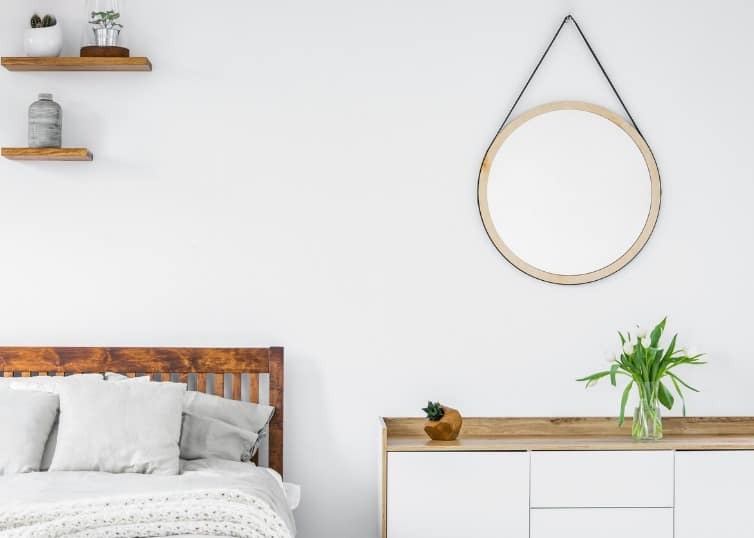 It’s common knowledge that a mirror makes a space feel more open, but when it comes to home staging, mirrors can serve an even more important purpose. If you’re trying to get a potential home buyer to see themselves in that house, what better way than to have them literally see themselves in that space? Pro Tip: Make a statement with an accent mirror. They are typically inexpensive and eye-catching at the same time. While it’s important to make sure that a home doesn’t feel cluttered, you still want to have some decorative pieces. 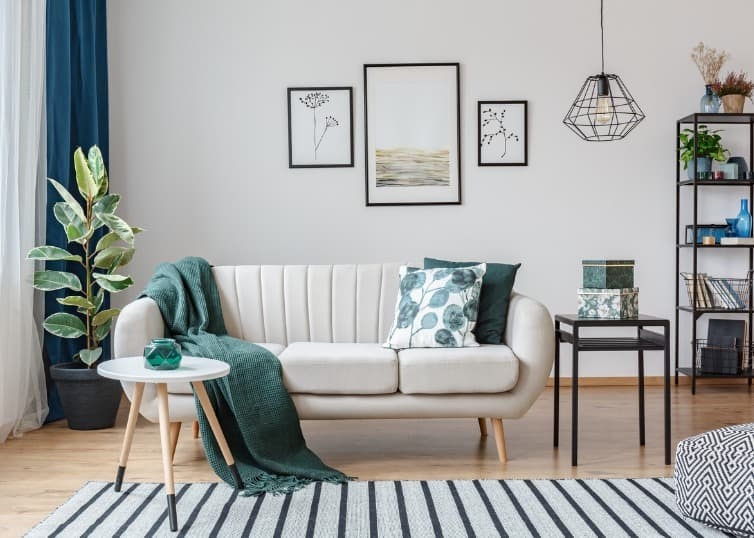 IKEA has great simple and modern decor that looks great in just about any home. Plus, their prices are pretty much unbeatable. But, if you don’t live near an IKEA, a quick trip to your local Target or HomeGoods will do the trick. Despite the multiple benefits of technology, it can also be very stress-inducing. Books, on the other hand, tend to be more stress-relieving and even have a nostalgic significance for many people. Help your visitors escape the endless pull of technology by displaying some books around the home. It may be that extra touch that helps get your home off the market. Pro Tip: Light some book scented candles to really create an ambiance perfect for any book-lover. 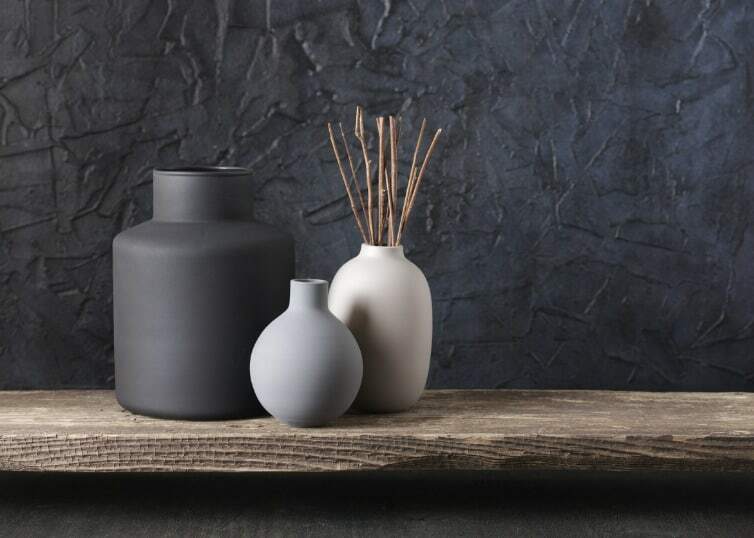 Ceramic vases are a great way to add some texture to a room, making it feel more three-dimensional. 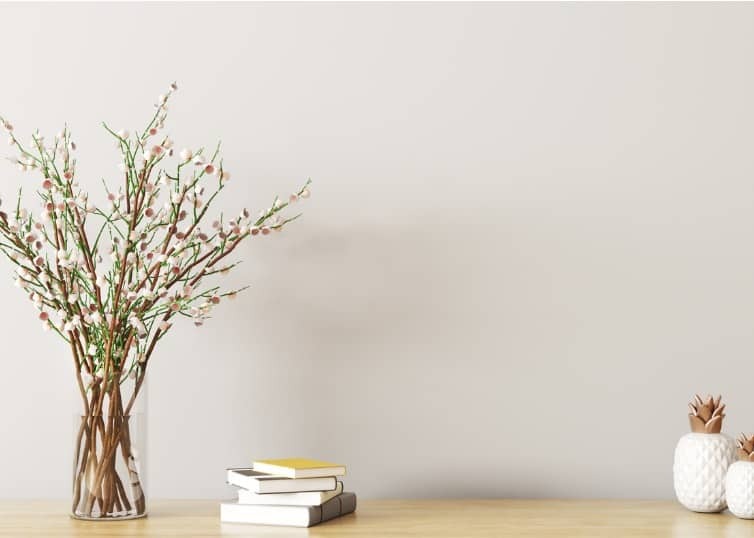 While they may not add any practical value, vases have an amazing ability to make a room feel homier while at the same time giving the space an air of elegance and sophistication without being stuffy. Last but not least, add some finishing touches to the bathroom. 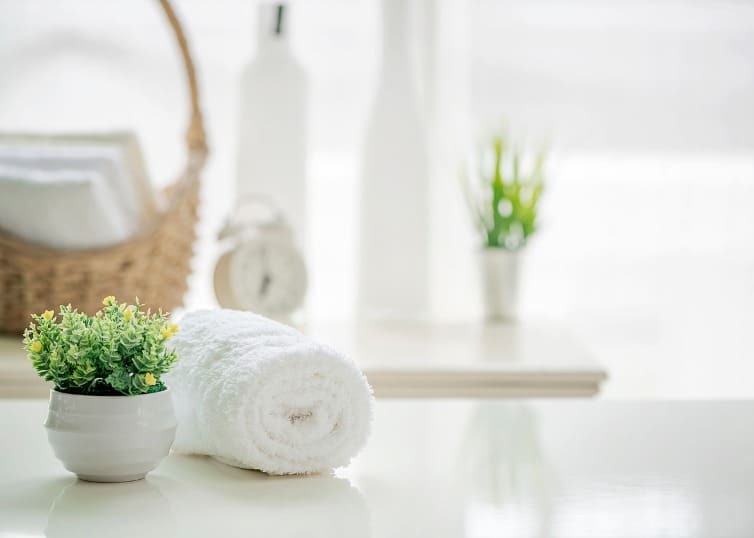 Crisp, clean white hand towels and stocked toilet paper makes the home feel move-in ready. Need ideas? Just think of any time you’ve stayed in a hotel. Because let’s be honest, one of the best things about staying in a hotel is enjoying the little luxuries in the bathroom. So, the next time you are having trouble getting a house off the market, just incorporate these some of these tips. You’ll be surprised at what a difference $100 can make. Want to be a contributor to our blog? We’re looking for content contributors who have practical, hands-on experience in real estate and can provide guidance on starting and growing a career. Apply today!